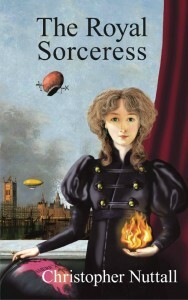 It is with great pleasure that I announce that The Royal Sorceress, my first published novel, is now available in paperback from Elsewhen Press. If you like my writing, please consider picking it up from Amazon. A limited first print run edition is also available from Elsewhen here. There are free samples of The Royal Sorceress on my site, so you can try before you buy. Reviews welcome! I won this in the recent AHWU contest and can’t wait to read it! I’ve shared it on my author page on Facebook https://www.facebook.com/AlisonMortonAuthor so I hope you gain some more readers.